Alrighty! My first beauty review, let's see how this goes! As I said in my previous post, I'm not a huge lipstick/etc fan. I'm just a plain jane chapstick kind of girl. So, of course, when I heard about these Lip Butters, I was pretty intrigued. Rexall Drug Store (Canadian Drug Store) had a huge promotion going on in their beauty department - buy two, get one free. 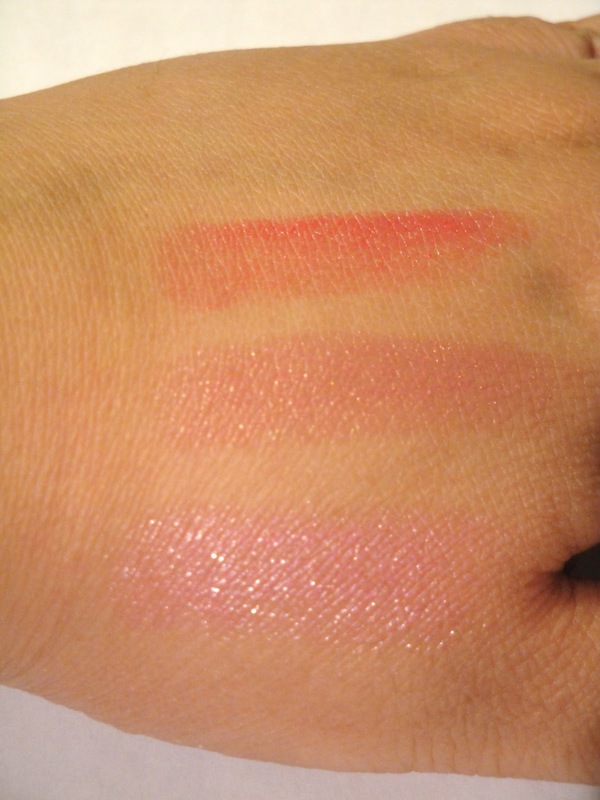 I picked up three (in order from top to bottom): Sweet Tart - a fun, bright pink colour. Very pigmented. All it took was swipe to get the swatch. Cotton Candy - a light airy pink that isn't as pigmented. It took about three swipes to get the swatch to show up. Cupcake - a very frosty, light pink. It took nearly six swipes to get the slightest colour to show. The consistency on my lips reminded very much of lip gloss - which I find too thick and goopy. I love the smell - I can't describe it. It's like candy. But not too sweet. 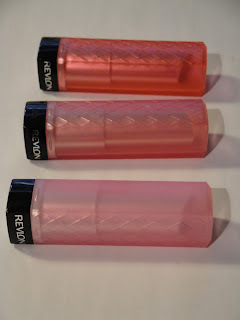 They are very moisturizing, but it has a tendency to move - like lip gloss. I do have to admit, I didn't wear any lip liner, as I didn't think that had to. One thing that I do need to say is that it doesn't move as much as lip gloss, which causes me constantly wipe the edges of my mouth like I'm constantly drooling. It's a great idea for when you're out, as lipstick itself isn't the greatest moisturizer in the world, so now you can have both colour and moisturizer. It's got a little bit of a glossy sheen to it to, so you don't have to worry about your gloss! I'm still going to give it a go for a little bit and hopefully I'll get used to it. But I can say this, I can see why so many people love the product! I do apologize for the not so great pictures. I'm playing around with the lighting in my area (I have a feeling that I'm going to have to move out of the office for the pictures) and with the type of camera...but it's looking like I'm going to have to pull out the great big camera for these pictures. But i did my best with some quick editing! Hope you like. Please feel free to ask questions!